The hippopotamus (Hippopotamus amphibius) is a semiaquatic herbivorous mammal from Sub-Saharan Africa, and their name comes from the ancient Greek for river horse. One curious aspect is that, despite their resemblance to pigs, they are closer in terms of evolution to cetaceans, but both groups diverged 55 million years ago. 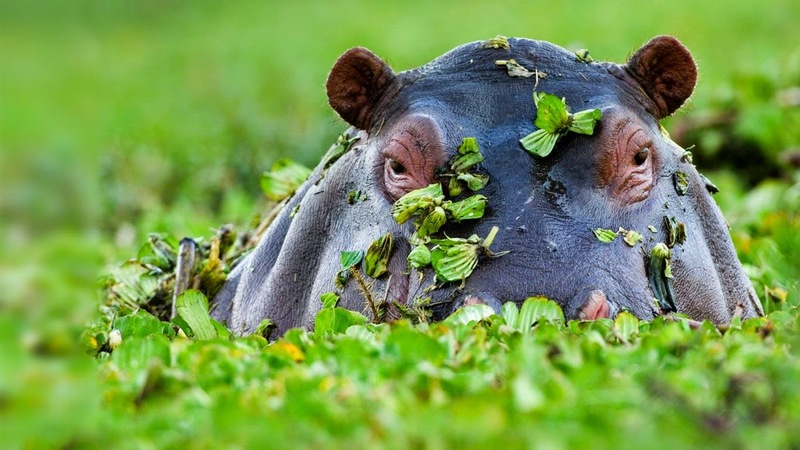 Although hippos can be very dangerous when being bothered or threatened, they are one of the most beloved animals and arouse sympathy. However, during the XVII century, the first explorers did not think the same, and when they met a herd of hippos, they found them big and terrible: hippos sweated blood! Of course, now we know it is not true. Actually, hippos have a highly sensitive skin, which dries and burns easily. In order to avoid direct sun, hippos spend a lot of time submerged in water, almost the whole day. But when they are on land, they secrete a pinkish fluid to protect themselves. Among the compounds of this liquid, two special pigments were found: one is responsible for the red color (hipposudoric acid) and the other for the orange (norhipposudoric acid). Both acids are unstable and tend to polymerize (join each other to form a chain) and as a result, its appearance changes and the oily mixture becomes reddish/brown. 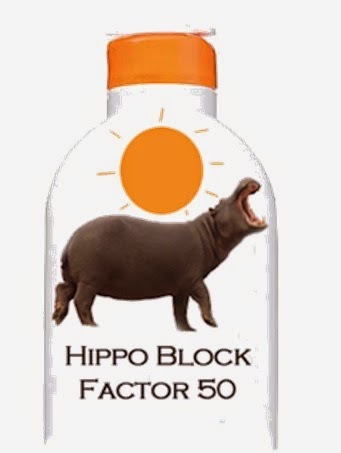 They absorb some of the UV radiation so they act as a natural sunscreen, and also as a water repellent, keeping the hippo skin hydrated and healthy. To top it off, the red pigment is also antiseptic and prevents the growth and reproduction of bacteria Klebsiella pneumoniae and Pseudomonas aeruginosa (lung infections and immunological problems). So, next time you are on the beach, think about this amazing pink hippos and slather on sunscreen!